From 1920 until 1933, the sale, production and use of alcoholic beverages was illegal in the United States. This was known as Prohibition. What I didn’t know was that a doctor could prescribe alcohol for medicinal purposes pursuant to the National Prohibition Act during this era. The image which is located at the top of this article was obtained from an actual scanned prescription which was issued on December 20, 1928 to a resident of Washington, D.C. The prescription was for 1 pint of whiskey. 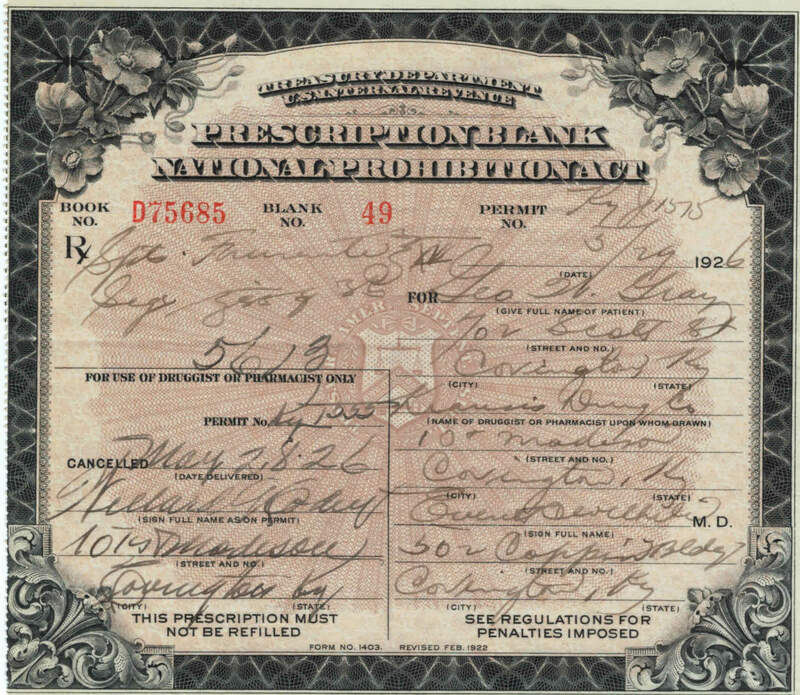 The prescription contains the pre-printed words, “Prescription Form for Medicinal Liquor.” Perhaps the person who obtained the medicinal liquor had a cough due to cold or was just stocking up before New Years! 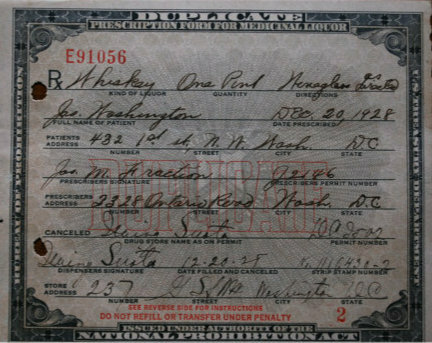 Prescriptions for alcohol were actually quite common during prohibition. The substance whiskey was also prescribed under the label of “spiritus frumenti” as the image below illustrates. Does this resemble the course of action which we are now seeing regarding the medicinal use of marijuana?